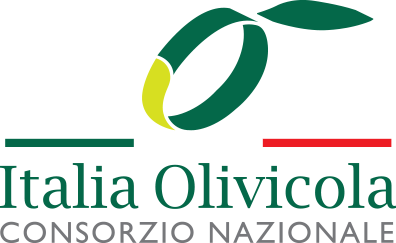 Olive oil is an edible foodstuff obtained from the fruit of olive tree (Olea europaea). Extra virgin olive oil, the premium type of olive oil, is extracted exclusively from fresh olives using a chemical-free mechanical cold-press technique. Extra virgin olive oil contains an extremely low level of free fatty acid, and, according to European Union standards, only olive oil which contains a free acidity of below 0.8% can be called extra virgin. Extra virgin olive oil is commonly considered one of the healthiest edible fats, thanks to its rich antioxidants and monounsaturated fat content. It contains a number of compounds considered beneficial to the human body, including oleic acid, linoleic acid and polyphenols, as well as vitamin K, vitamin E and various mineral substances, such as calcium, sodium and potassium. In 2011, the European Food Safety Authority (EFSA) confirmed that the polyphenol antioxidants and oleic acid contained in olive oil can help lower blood fat and low-density lipoprotein (LDL) cholesterol respectively. According to a paper released by Neurology, a science periodical, researchers from the Barcelona Institute of Medical Research, Spain, found that food which contains rich extra virgin olive oil can increase the concentration of high-density lipoprotein (HDL) cholesterol, which is considered to reduce the risk of heart disease. HDL can enhance the abilities of arteries to remove vessel wall plaque, making them more relaxed and elastic and thereby lowering the risk of cardiovascular illness. The study also found that eating a large amount of extra virgin olive oil for a year can result in a significant rise in HDL levels. A study conducted by Dr. Niva Shapira from Tel Aviv University in Israel and Bob Kuklinski of Rockstock University in Germany found that olive oil, alongside a Mediterranean diet, could contribute to the prevention of malignant melanoma. According to their research, the most dangerous type of skin cancer can be curbed by consuming extra virgin olive oil, as it contains rich antioxidants and vitamin E.
In effect, statistics show that only three out of every 100,000 residents in the Mediterranean area have skin cancer. The figure is surprisingly low, considering the region’s climate and exposure to light. To put this into context, the figure in Australia is 50 per 100,000. Type 2 Diabetes is the most common type of preventable diabetes. According to a paper released in Diabetes Care by Spanish researchers, the Mediterranean diet, which is rich in olive oil, can help to reduce Type 2 Diabetes more effectively than a low-fat diet. Targeting 418 non-diabetic subjects aged from 55 to 80, the four-year study found that compared with the low-fat diet group, the group which was randomly assigned to a Mediterranean diet supplemented with extra virgin olive oil had a 40 percent lower multivariable adjusted hazard ratio of diabetes. Researchers from Madrid, Spain, found that adding extra virgin olive oil and pistachios to the diet of a pregnant woman can contribute to her health and her baby’s well-being. The St. Carlos Clinical Hospital tracked 2,418 pregnant women in a random and controlled trial, and found that a Mediterranean diet with additional extra virgin olive oil and pistachios can reduce Gestational Diabetes Mellitus (GDM) among pregnant women. The American Diabetes Association stated that GDM can cause significant harm to pregnant women, and leads directly to seven percent of all pregnancy complications. The adoption of a Mediterranean diet can adjust emotions and decrease mental pressure, according to results released by BioMed Central. Researchers split 67 adults with major depression into two parallel groups in a random and controlled trial. One group was assigned a Mediterranean diet, comprising of a high intake of vegetables, fruit, fish, whole grains, legumes and extra virgin olive oil. The other group maintained their previous diet patterns and received social support. After 12 weeks, the average index, assessed on the Montgomery–Åsberg Depression Rating Scale (MADRS), of the dietary intervention group had decreased by 11 percent, with 32 percent of the subjects no longer possessing any symptoms related to depression. Conversely, the social support group saw just a four percent reduction in MADRS, and only eight percent of its participants were relieved of all symptoms.